You may have seen someone succumb to the effects of depression or drugs and alcohol addiction. They may have health problems, a careless lifestyle, problems with law and possibility of death. However, it can be painful if that person is your friend. Instead of watching, you can decide to do something to help and alleviate the problem. The best approach is to intervene. Intervening means that you convene a formal meeting with the friend in need of help while including other friends or family members to persuade the person to change. But, how do you know that a friend is in need of help? Here are signs you can look out for. One telltale sign of someone who needs help is social isolation. Usually, when one is going through a difficult time, is abusing drugs or alcohol or is dealing with a mental problem, they tend to isolate themselves. The person can withdraw from social interactions, is no longer interested in activities they used to take part in, avoids people and spends a lot of time alone. If your friend who is normally jovial and loves interacting with people suddenly starts to isolate, then it is about time to find out what could be causing it. This way, you could provide help before it is too late. It is normal for people to want to take care of themselves so that they can look and feel great. However, if your friend starts to show signs of self-neglect, then it could be a sign of deeper issues and they may be in need of help. Look out for signs such as gaining or losing weight. It can happen that your friend who was previously keen on their health, watched what they ate and exercised, no longer cares about his or her health. This could mean there is something wrong and they could be in need of help. If your friend no longer cares about their appearance, personal hygiene and doesn’t groom anymore, then you should have a reason to worry. Has your friend’s behaviour changed and they are acting recklessly? Are they doing excessive drinking or doing drugs and engaging in risky sexual behaviour? These are signs of someone who needs help. Severe mood swings, being sad all the time, having uncontrolled anger, crying uncontrollably and being irritable are signs of someone who needs help. Your calm friend could also start being aggressive at home or with friends. The sudden change of behaviour could be a sign for the need of help. It could be that they are being bullied at the workplace or at school. 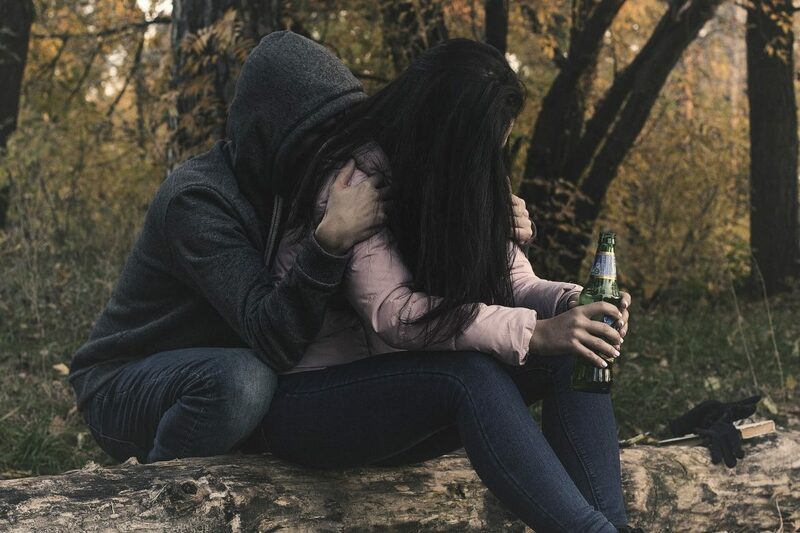 If you see your friend behaving like that, they could be battling with depression, drug or alcohol abuse or mental health issues. These are cues that your friend is in need of help. Thinking about suicide and death is not normal. If your friend is regularly thinking about death and committing suicide, then you should take them seriously since it is a clue that they need help. In fact, it calls for immediate action if a friend starts contemplating killing themselves or starts looking for ways in which they can commit suicide. Usually, suicidal thoughts are as a result of mental health disorders such as depression and may also be associated with substance abuse.